Connecticut Sealcoating is proud of our continued dedication to providing premier asphalt paving services to Waterbury, Connecticut and its residents. We have made it a top priority to focus on providing exceptional customer service and professionalism in each and every project. 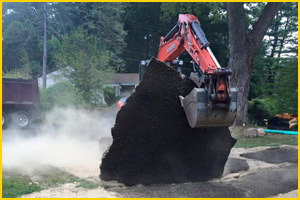 Whether you are in need of a new parking lot installation or a small pothole patching, Connecticut Sealcoating is the asphalt contractor that you can depend on. Our crew recently received an online quote request from a local property manager. They were inquiring about new parking lot installation in Waterbury. 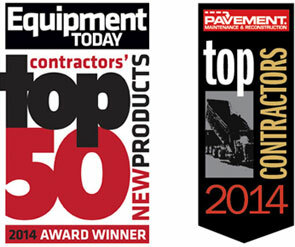 We spoke to the property manager to learn some more about what their asphalt paving needs were. At the end of the conversation, we determined that the property manager was looking for a new commercial asphalt parking lot. We begin each new construction job with a site plan and official city approval for the asphalt parking lot. Then we begin our construction with excavation of the area that will be laid with asphalt paving. We remove all of the unnecessary and unwanted materials, before establishing the correct grade. We follow that with application of the aggregate base material that we install to the proper height, and run a paver over the top of the asphalt surface in order to compact the material. Finally, we finished the parking lot by striping it to the exact desires of the property manager. The new asphalt parking lot looked fresh and aesthetic. Our client was extremely happy with our hard work in installing the new asphalt surface. We finished the project by providing him with important information regarding asphalt maintenance. The property manager was very grateful for our extended customer service and professionalism, and told us that he would contact us for any future asphalt repair or maintenance needs. Our crew left the job happy to have helped provide another impeccable asphalt surface for Waterbury and its residents.